With cell phones and computers becoming increasingly ubiquitous in society, many people are beginning to ponder the possibly negative effects of all that radiation. Each and every day, people expose themselves to radiation from their computers and cell phones. Even though the individual amounts may not seem like all that much, the cumulative effects of all that radiation exposure could lead to any number of negative health effects. There are a few quick and easy things you can do to limit your exposure to radiation from computers and cellphones. One of the best and easiest ways to reduce your exposure to cell phone and computer radiation is to stay as far away from your cell phone and computer as possible. Of course, you still need to be able to use your devices, but in order to minimize your exposure risks, you should try to keep your distance to the greatest extent possible. To put a healthy distance between you and your exposure to radiation, you should consider using a wired headset or putting your cell phone on speaker mode when making calls. Additionally, you should consider texting in lieu of making a phone call whenever possible. For computer work, it is best to keep things on a desk and never, ever use your computer while it is sitting on your lap. Furthermore, you should make sure that you schedule yourself regular breaks away from your computer and cell phone. Even something as simple as 10 minutes away from devices every few hours or so will go a long way towards minimizing your risk of radiation exposure. 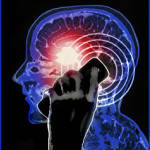 Radiation emitted from cell phones is strongest when the phone has to search for signal. Subsequently, in order to diminish risk of exposure, you should only make calls in areas where you have the strongest possible signal – unless it’s an emergency, of course. As an added bonus, you will enjoy greater call clarity if you wait to call until you have full bars. Nobody likes dropped calls anyway, right? It is unrealistic to expect that you will be able to completely avoid computer and cell phone radiation as you go about your daily life. Though you can do your best to minimize your risk, some exposure will happen. There are ways that you can negate the toxic effects of radiation exposure, however. Make sure that you are maintaining a healthy diet full of antioxidants and phytonutrients. Both antioxidants and phytonutrients have been shown to mitigate the toxic effects of computer and cell phone radiation. The fact of the matter is that radiation is everywhere, and you are not going to be able to avoid it completely. Instead, you should do what you can to minimize your risk of radiation exposure from your cell phone and computer. Things as simple as using a wired headset and calling only when you have a full signal will go a long way towards protecting your health. What do you do to shield yourself from cell phone and computer radiation?